Paperback, 6.5 x 9.5 in. / 128 pgs / illustrated throughout. 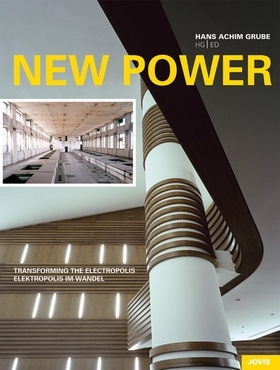 Edited by Hans A. Grube. Berlin’s power stations are architectural marvels--but technical and economic progress has made many of them either obsolete or economically unviable. 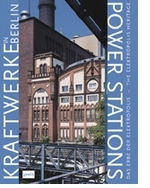 (Two prime examples include the Steglitz Power Station and the Scharnhorst Transformer Station, both designed by Hans Heinrich Müller, Berlin’s chief power station architect between 1924 and 1930.) Innovative concepts are sorely needed to find new uses for these masterpieces of industrial architecture in order to preserve them historically and make support of them feasible once again for Berlin’s economy. New Power presents over 20 renowned projects for the first time--going as far back as the 1950s. This volume also provides examples of the successful reuse of these structures, which has been on the rise in recent years: One aging station has been gracefully brought back to life as a synagogue. FORMAT: Paperback, 6.5 x 9.5 in. / 128 pgs / illustrated throughout.